To provide Accurate, Reliable, Synchronized and maintenance free wireless time synchronization, to improve operating efficiency, increase productivity, and offer greater cost savings. To offer advanced timing solutions that will balance the newest and most innovative technology with business service needs. To maintain a high level of service and support to ensure we meet and exceed our customer expectations. Innovation Wireless, headquartered in Culver City, CA, is a manufacturer and marketer of Wireless and IP – POE Synchronized Clock and Communication Systems, with over 30 years of expertise as one of the world’s largest designers and distributors of clocks, clock parts, and communication equipment. We serve markets in education, healthcare and commercial businesses. The new generation of wireless timekeeping has greatly enhanced and simplified the way schools, hospitals, businesses and all organizations operate and manage time. Innovation Wireless has embraced the power of Global Positioning System (GPS) and Network Time Protocol (NTP) to successfully accomplish this. Our system is simple, easy to install and maintain, and guarantees precise synchronization of clocks throughout all types of facilities. Our state of art IP – POE Communication Software unleashes an organizations’ Ethernet Network. Institutions can take full advantage of their existing wired Ethernet by enabling them to power and control Analog and LED Digital Clocks, Public Address Speakers and Message Boards. Our technology enables are customers you to achieve a synchronized time and communications environment at a fraction of the cost associated with maintaining older technologies. Our engineering expertise and unique product design have positioned us as an innovator and leader in IP – POE communications and advanced wireless clock solutions. 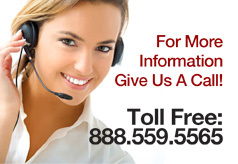 Innovation Wireless has delivered advanced products to the time and communications industry. Some of our customers are listed on our website and includes some of the most prestigious companies and organizations. We will continue to monitor emerging industry developments, while maintaining ongoing engineering of innovative product technologies. Why Choose The KRONOsync®Synchronized Clock System? Why the KRONOsync® Clock System from Innovation Wireless is the correct choice for providing Accurate, Reliable Synchronized Clocks throughout all types of facilities. 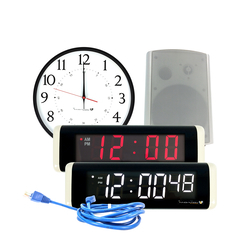 The KRONOsync® wireless clock system uses Global Positioning System (GPS) satellites for sending time signals, accurate to the second, to a GPS receiver connected to a transmitter which then broadcasts this time signal to every clock. Additionally the KRONOsync® system can use Network Time Protocol (NTP) to capture time from your network and send it to a transmitter which then broadcasts this time to every clock. Operation of our system requires an FCC license. Contact us for details.